WINNIPEG , Jan. 4, 2018 /CNW/ – Delta 9 Cannabis Inc. (NINE.V) (“Delta 9” or the “Company”) has unveiled its more detailed expansion plans following the closing of its $23 million short form prospectus offering of units on December 28, 2017 . As part of that expansion, Delta 9 CEO John Arbuthnot says the company expects to create more than 200 new jobs in the areas of production and construction alone. Delta 9 projects the hiring of 105 full-time equivalent (FTE) jobs in the production facility by the end of this year, and an additional 12 workers for construction. That number is expected to almost double in 2019, when the Company projects a total of 210 FTE positions in production, and 21 construction workers. As previously announced, the financing enables the Company to increase its production capacity to approximately 12,000 kilograms of cannabis per year by the end of 2019. The Company plans to allocate approximately $15.9 million specifically for the construction of approximately 336 of Delta 9’s self-designed ‘grow pods’ in 2018 and 2019. It is anticipated that the Company will spend $5,700,000 building 112 grow pods in 2018 and $10,200,000 to build an additional 224 grow pods in 2019. Of those pods, it is expected 312 will be used as producing pods which each produce approximately 30 to 32 kilograms of cannabis per year. The remaining 24 pods will be ‘support pods’ designated for use as mothering or cloning rooms which will not produce cannabis for sale by the Company. The Company may also allocate additional revenue from the sale of cannabis and other current working capital to building additional grow pods during 2018, 2019 and beyond. 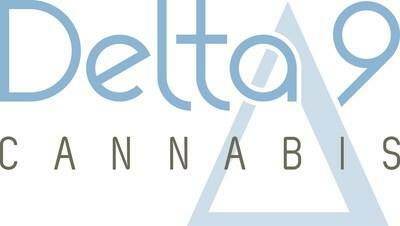 Delta 9’s revenue estimates are based on an average sales price of $7.50 per gram of cannabis. By the end of 2018, the Company estimates that it will be in a position to generate more than $75 million in annual revenue from the sale of cannabis. Certain statements in this release are forward-looking statements, which reflect the expectations of management regarding the Company’s future business plans and other matters. Forward-looking statements consist of statements that are not purely historical, including any statements regarding beliefs, plans, expectations or intentions regarding the future. Forward looking statements in this news release include statements relating to: (i) Delta 9’s expansion plans; (ii) Delta 9’s production of cannabis; (iii) the price to be received by Delta 9 per gram of cannabis; (iv) demand for Delta 9’s products; (v) Delta 9’s cost to produce its grow pods; and (vi) the number of employees of Delta 9. Such statements are subject to risks and uncertainties that may cause actual results, performance or developments to differ materially from those contained in the statements, including that Delta 9’s currently contemplated expansion and development plans may cease or otherwise change, Delta 9’s production of cannabis may be lower than expected, Delta 9 may not obtain the required approvals from Health Canada, demand for Delta 9’s products may be lower than anticipated, Delta 9’s cost to produce its grow pods may be higher than expected and all other risk factors set forth in the filing statement of Delta 9 dated October 25, 2017 which has been filed on SEDAR. 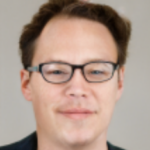 No assurance can be given that any of the events anticipated by the forward-looking statements will occur or, if they do occur, what benefits the Company will obtain from them. Readers are urged to consider these factors carefully in evaluating the forward-looking statements contained in this news release and are cautioned not to place undue reliance on such forward-looking statements, which are qualified in their entirety by these cautionary statements. These forward-looking statements are made as of the date hereof and the Company disclaims any intent or obligation to update publicly any forward-looking statements, whether as a result of new information, future events or results or otherwise, except as required by applicable securities laws.